Nintendo Network will forgo Xbox Live's subscription model. 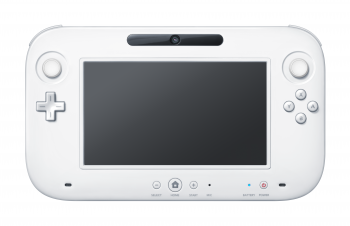 Even though the Wii U is set to launch before the end of the year, there's still a lot we don't know about the console. However, Nintendo President Satoru Iwata did reveal one tidbit during a recent shareholder's meeting. Though Iwata isn't against the idea of a paid service that allows multiple devices to be connected to the Nintendo Network, he stated that a paid membership would not be the best approach for the Wii U.
Iwata elaborated to say that by giving everyone free access to the Nintendo Network, word of mouth about the Wii U and its online service would help boost hardware and software sales. This isn't exactly surprising, given that Nintendo hasn't focused on its online experience as much as its competitors. Since the next hardware generation is sure to be pricey, it's nice to have one less thing to pay for. Nintendo's method of releasing information about its next console has been unconventional, forgoing a big E3 announcement for bits and pieces of news at random intervals. Hopefully the next announcements from the publisher will be a release date and price point for the Wii U.